This week I am delighted to be immersed in international perspectives on school libraries and teacher librarianship as I participate in the 42nd annual conference of the International Association of School Librarianship. IASL conferences provide a gathering point for leaders and practitioners in the field of school libraries, and has allowed me to meet some amazing and inspirational people over the years. 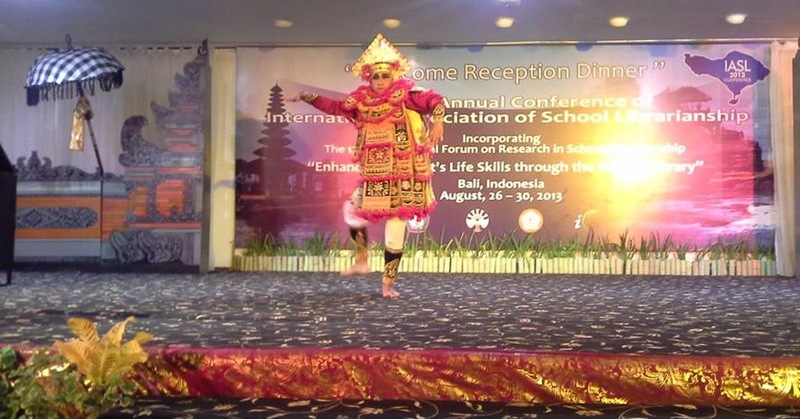 This year, the IASL conference “Enhancing Students’ Life Skills through the School Library” is hosted in Bali, Indonesia by the Indonesia Association of School Library Workers, an independent organization facilitating school library workers to improve competencies and develop school librarianship in Indonesia. After preparing the conference paper “Building a Vibrant Future for School Librarians through Online Conversations for Professional Development” I was fortunate to be able to present a lively presentation and discussion session (translated into Indonesian) about digital environments and the work of the School of Information Studies to support online conversations as part of the personal learning networks in this context. Perhaps one of the most challenging conversations to have in libraries and learning communities as we move towards 2013 is the arrival of RDA. Yes, here is a new acronym that needs to be embedded in our thinking. 2013 will be a year of living dangerously when RDA arrives. Don’t know about RDA yet? Then it’s time to get excited, and up-to-date! As we close off 2012 many school librarians are busy with their annual stocktake (at least those who haven’t adopted a rolling model of collection maintenance). These same librarians and their staff are perhaps oblivious of the exciting developments that are taking place that will impact on how we manage collections and how we support curriculum in the years to come. For my money, this is where the rubber hits the ground. Its where the need for proper professionals in schools becomes more important than ever. Here we have innovation happening under our very (information professional) noses – yet we have staff in school library senior positions who have no qualifications in the field or who have not done any further academic training to keep up with the changes needed to manage collections in the digital world that is the 21st century. The next few years are going to be very exciting and challenging making it doubly vital that school leadership understand the importance of having well-qualified teacher librarians and school librarians leading information services in schools. These very issues were highlighted at the recent SCIS ASKS Forum held in Melbourne recently. How will education libraries best serve their communities in 2015? Support for the new Australian curriculum makes it imperative that we include emerging technologies and global understanding of information organization in the knowledge matrix that we support. It’s no longer about organizing those container of information that’s important – it’s the connections and access pathways and interpersonal learning experiences that a good school library can facilitate. It is a teacher librarian’s job to empower students and teachers information access needs, and to manage systems that support this. We are very lucky in Australia that Education Services Australia, and the Schools Catalogue Information Service have their eye on this for us. School library systems, media systems, LMS systems etc need to become the 24/7 structured access point for meaning connections. Here we have the key issue in that our multiple systems need to draw on as well as contribute to a knowledge matrix – one that connects to the various information repositories beyond our schools as well. would be a new standard for resource description for the digital world. The point of it all is to provide a consistent, flexible and extensible framework for both the technical and content description of all types of resources and all types of content – everywhere, anywhere, always! When search engine collaboration in 2011 added schema.org, we knew that the future was here. Traditional library data has had its day – and this century we are all about linked data ontologies that facilitate computer communications and interaction for the benefit of human knowledge. There is so much to learn, and so much to deploy. Essentially we need to create a new roadmap of open access and interoperability, to allow RDA new standards in schools to take us out of the confines of traditional library services, and to engage with the Semantic web. Metadata has been changing everything, and information professionals have been leading these developments, mindful of the semantic web and linked data. There is a lot to discover and learn about. If you are a teacher librarian, please make this part of your professional learning agenda for 2013. We are on the web and of the web, and our opportunities to improve the information and knowledge matrix in schools is fantastic – if we know how! Visit SCIS Asks Forum, and check out the information from the Forum – even add to the discussion via the survey forms. Thanks to SCIS for allowing me to kick-start the day with some provocative ideas about Strategic Directions for School Libraries. I woke this morning to a grey sky, and many pieces of writing about teacher librarianship that my students have submitted as their first dip into a new profession. The grey sky seems to symbolise the mental consternation that is expressed by those entering the profession, and by those responding to the extraordinary changes and cutbacks discussed by Buffy Hamilton and others at her post Do I Really have to Leave the Role of School Librarian to Work as a School Librarian? 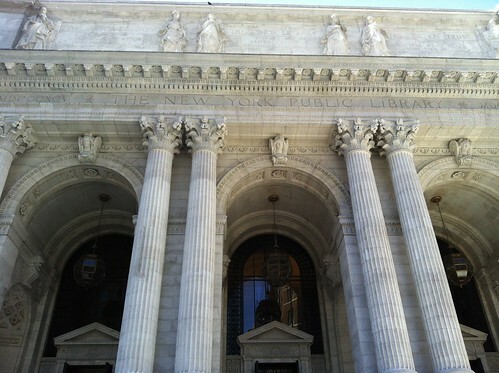 I’m just recently back in Australia, after a number of visits in the USA related to libraries now and in the future. I was fortunate to attend the Computers in Libraries conference in Washington (CIL2012 – do access some of the presentations), and during the three days of the conference was delighted to spend time with Buffy Hamilton, Carolyn Foote, Sarah Ludwig, Polly Farrington and others involved in services to school libraries. I was struck by the extraordinary passion, the outstanding work happening every day – and by common complications (in some schools) caused by the ignorance and lack of vision demonstrated by school leaders when it comes to libraries. The reality is that teacher librarians can be the best person to have in your school – but only if they have actually learnt how to fill that role well, and have understood and assimilated the principles of embedded librarianship.That’s what undertaking a Masters degree in Teacher Librarianship is all about! It’s an energising and complex profession that you just can’t learn on the job. As Buffy rightly argues, we do not need to leave the role of librarian to become a better librarian. What I sincerely believe is that we need school librarians to be recognised for their significant and vital role in the life of a school, and we need for their position to be better staffed and better supported within the school. The School Library Journal allowed a provocative piece to inadvertantly lead a discussion that is vital to school library futures. Linda W. Braun interviewed Sarah Ludwig, whose session I enjoyed at CIL2012, and in showcasing how Sarah Ludwig left the library, became a tech coordinator, and forged a path to the future implied that perhaps this was a good thing. It was not! I believe that Next Year’s Model (term used by the school library journal) is not the school librarian escapee – any more than the classroom escapee was ever the right person to be a school librarian! 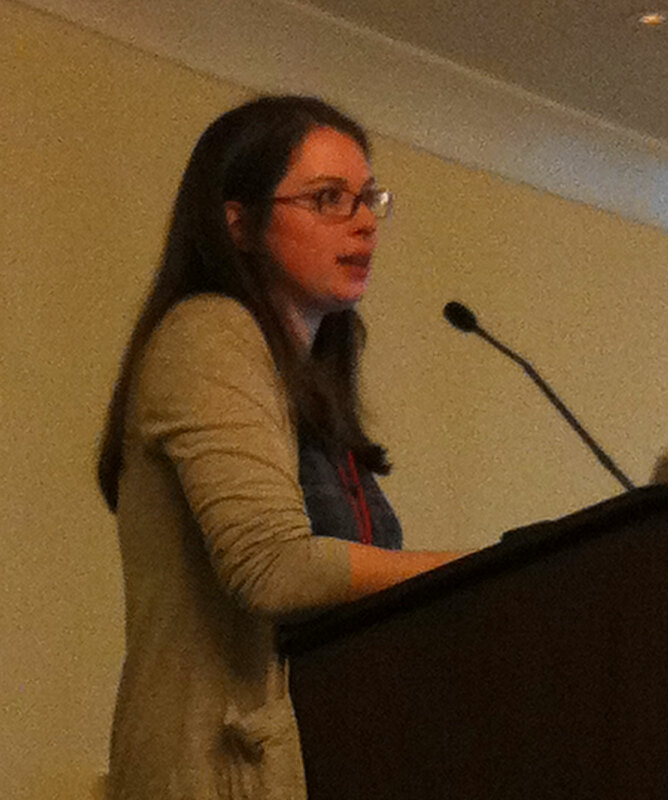 I loved Sarah’s presentation at CIL2012, because she was engaging and clearly enjoys working hard to make a difference. She is achieving some of what is possible as a teacher librarian. Director of Technology and Information Services Hamden Hall Country Day School is in fact not a qualified teacher librarian, though she certainly recongises what it is that makes Sarah’s work relevant to her school. The fact that Sarah said in the interview piece, and at the conference, now it’s easier to get people to trust my opinion on technology, which enables me to do more than I could as a librarian is a reflection of the challenges in the teacher librarian profession. It’s so important to look past technology, and to stay with the model that Buffy and other leading teacher librarians espouse in their work (under circumstances that almost few Australian teacher librarians need to contend with) and to continue to shape a responce to change in the profession. This theme is not unique to school libraries – it is the same tune throughout the LIS sector. We have had better solutions taking shape in many Australian schools. 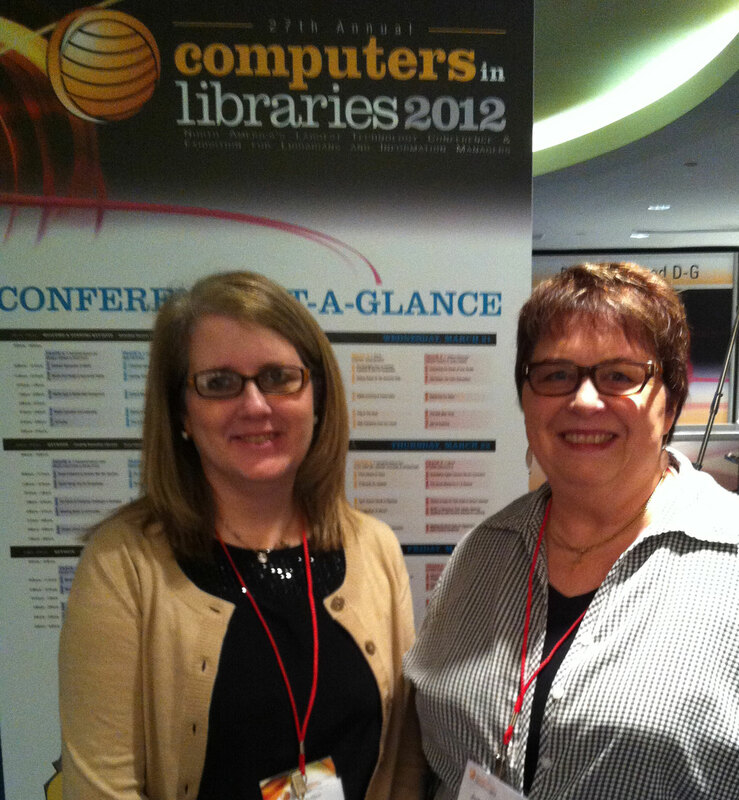 In Hybrid Synergy – the Future of School Libraries you can read about a model that would suit Lorri and Sarah to a tee! Check out St Ignatius College, Riverview here in Sydney. They have realigned their library services to create a new hybrid synergy under the direction of the Head of Digital Learning and Information Services (who IS a teacher librarian), supported by several Digital Learning Facilitators who teach a subject as a classroom teacher, work with a faculty, and also support students reading, learning, and research needs in the library. Of course, with such a commitment to empowering student learning, there are other important roles such as a Library Manager, and library and media technicians. In other words – poor school, rich school, country or city school – we need a great teacher librarian at the helm to lead learning and innovation with and beyond technology! Good luck to any teacher librarian of quality who becomes a curriculum leader, technology leader, Principal, or who takes on any number of other significant roles in the education sector. Education is all the richer for it – but don’t leave for the wrong reasons! Has the librarian left the building? Ask yourself ~ Who is better off now? What stupid cutbacks by senior administrators has resulted in a move that will impact future generations of kids? What is it that needs to change in our understanding of Teacher Librarianship so that we can make more of a difference? In times of economic constraint, why are school libraries under threat? Are teacher librarians committed to keeping up-to-date? What do we need to change to improve? The time for libraries is now! . Tonight I am in reflective mode while also being in frantic planning mode. Like anyone involved with education in Australia, we are very busy getting into a new academic year. In my case, I am working with a raft of new teachers who are learning about the challenges of being a teacher librarian. Last week I worked with around 40 friendly folks as part of a program with the Department of Education here in NSW. These people came from a range of schools, and brought with them a range of experiences. One thing in common was enthusiasm. It reminded me of my days of training to be a TL. In one of my placements I was lucky to be mentored by a vibrant TL, whose forte was ‘rat cunning’. Looking for opportunities to work smarter, and influence your staff as often as possible was part of her overall approach to efficient management and advocacy, and underpinned her philosophy which in every way saw her and her school library address the Australian School Library Standards of Professional Excellence. As I watch another batch of experienced teachers become students once again, I see and feel the nervousness, difficulty, confusion, and amazement that epitomizes a teacher’s discovery of what a teacher librarian actually can know and can contribute to a school. So many come into this thinking it is going to be a ‘walk in the park’. After all, they may well have seen or been in a school with library that has no teacher librarian – so in that context all they has seen is perhaps 5% of what is possible. It’s why I know that experienced Teacher Librarians are extraordinary, and that every single school and every single student deserves to have a TL leader in their school to make sense of 21st century multi-literacies. 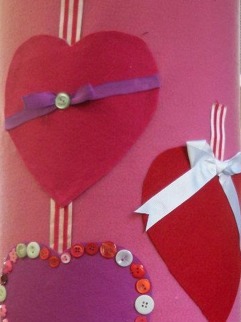 On the other hand, there are also students who have come into the course who have a passion to be a Teacher Librarian. They already know some of the features of the job, and perhaps sense the power and magic of the possibilities. These people are looking for a life-changing transition which they want to be wonderful, colourful, and inspirational. This week I’m also revisiting other aspects of my own TL journey. I am working with a small central school in mid-west NSW. 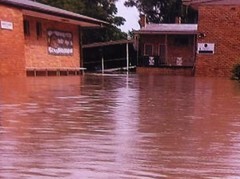 Recently this town experienced dreadful flooding, and the school library was one of those spaces that was affected.I have worked in a variety of settings and operated with a shoestring budget. I still recall how the Principal and I re-organised the library layout with wire – literally re-shaping and re-organising the ancient library shelves to create useful and exciting spaces. I then raided the bargain bins at iKEA and the reject shops, and made that library a hub of activity. In a primary school of 400 students we ended up having a lunchtime rule – after the first 100 students got into the library, we had to shut the doors. They queued outside..waiting for their turn. And no, we had no air-conditioning! 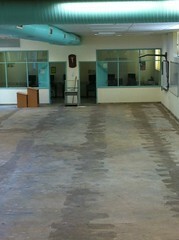 So here I am consulting to a recently flooded central school – saved books, destroyed library. What next? Once again it’s the same issues – what exactly should a school library in a central school provide for its students? How is this achieved with budget and staffing constraints. Surprisingly the answers are the same here as they are in any school, and what the Principal is discovering is the complexity of what’s required in just the same way as my new students are surprised. But of course the facility is only half the story. As we all know, it is what happens in the curriculum that is also critical. If you are a teacher librarian you already know the answer. My new students are barely even aware of the questions they are going to be asking themselves in a few weeks! But through all that turmoil, what is exciting is that they will make the journey. I recall last year the absolutely glorious and inspiring thoughts and ideas that some students were able to write about by mid-year. If you are new in ETL401, and reading this – courage. You have taken the first step in the journey of transformation. Teacher librarianship is not just something extra. It’s a brainstorming, mindshifting, electrifying opportunity to meet 21st century learning needs in all its dimensions head on. Nothing can stop you after that! The more I look the more certain I am that I stand at the edge of an information abyss, rather than at the dawn of a golden age of information and life-long learning powered by the digital environments. Perhaps there are two sides to this: The good side encompasses savoring the growth of creative knowledge and nurturing the understanding for students engaged in the topic of discussion. In this way students can sometimes surprise and delight us with insights and even lead us in new directions taking the teacher mentor along with them. The bad side encompasses that information abyss that exists, but which is misunderstood, largely unmentioned, and yet which is creating a new form of the digital divide – content and conversation ignorance in an era of mass information. Knowledge and creative/scientific understanding is always at the heart of the educational endeavour. Teachers gnawing at the syllabus bones of their subject may find juicy marrow, but it’s still the same pile of bones. The officially mandated parameters of accreditation organizations (think departments of school education or higher education) means that content and process may run parrallel to the natural learning needs of students. Designing any long-term educational action these days (especially in the face of 1:1 computing and mobile devices) involves creating scenarios for acquiring and developing competencies and knowledge in subject domains that are enabled by personalization. Competences are the main element of the learning process and personalization in virtual learning scenarios involve designing and executing learning paths, learning activities within a subject and some kind of analysis that ‘tags’ the success of the particular lifelong learning elements involved. That’s education, but is that learning? Ah – here it is again, that information abyss. Educators were never information experts, but in the era of ‘industrial schooling’ this did not matter. Information was organized and made available in structured ways, quietly providing access to tacit and explicit knowledge at point of need. Then technology transformed the information landscape, pushing changes into education. Unfortunately education experts forgot that they were not information experts, and in the age of web-enabled information some educators and educational leaders, in their enthusiasm and ‘debunking’ of industrial schooling, have also advertised their ignorance in how to work with the most precious of all commodities – information! Did they toss the baby out with the bathwater! Nope, they actually never did know what information organization was all about, what metadata means, when digital preservation is important, how information access can be facilitated, how information is organized, and what strategies are needed to find, analyze and synthesize information. Pre the web era , this didn’t matter. There were librarians around to fill the breach and provide the knowledge gap. Now things are different. 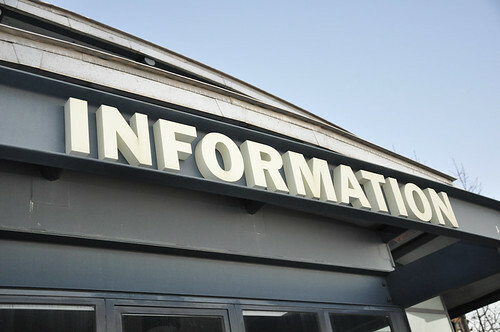 Information (and the knowledge it contains) is the underpinning of society, learning, and future developments. Information is what lead to the creation of the web, and which leads to developments in all forms of our web engagement. 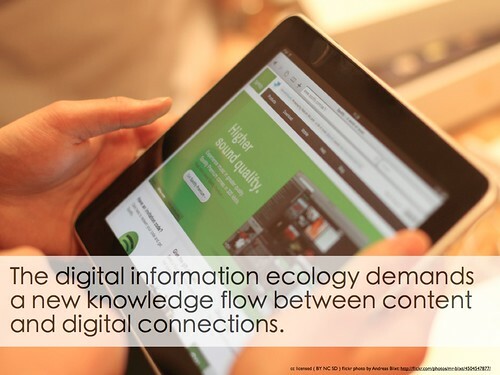 Social networks are enabling information sharing. We need to be able to read, and read well, to access information. We need to know how to find and make available to others the information that matters. But while educators “toot” the use of web tools, and play with virtual environments, they seem to remain more ignorant than ever about the impacts of web organization on information access and information retrieval. Only a fool closes a school library down because information is on the web, and fiction books are sitting in a box in the classroom. How should we ensure we refresh the mental browser of pre-digital thinking to suit the evolution of the web? What school leaders need to do is to go out and find the best information and library experts they can find to re-vitalize their school library. What school leaders need to do is to go and empower an information expert within their school to lead in curriculum design, and ensure that it incorporates the required fluency with information access, use, manipulation, remix, and dissemination. What school leaders need to recognize is that all the reshaping of classroom spaces, and use of tech tools and mobile devices for curriculum innovation is nothing more than a hollow shiny bauble (which may well be crushed in the next iteration of the web) and really useless . Kids aren’t learning how to be adaptive in complex information environments. Someone HAS to help the teachers of our 21st century kids understand reading, literacy and information seeking in a connected world. The information abyss is right there at their fingertips, and each day teachers are doing a great job of throwing kids down into that abyss! (Test your knowledge of the abyss by perusing Knowledge 2) Our students now need help in navigating diverse information pathways within their personal and creative learning environments. They need a range of literature and information options, delivered to them via a variety of physical and virtual means, from books to all manner of media and digital objects, via a plethora of digital devices. They need to know how to juxtapose text, sound, media and social connections in real time, and how to filter, then mix and match what they see, hear and experience in order to build personal knowledge and understandings of the curriculum. Where once the bibliographic paradigm created text-book learning and school libraries, learning today requires that teachers and school librarians understand reading and information-seeking in a connected world. Deal with the information abyss. In the name of education, get a new school library! This is what I’ve already debated in the post Why Teacher Librarians are Important. 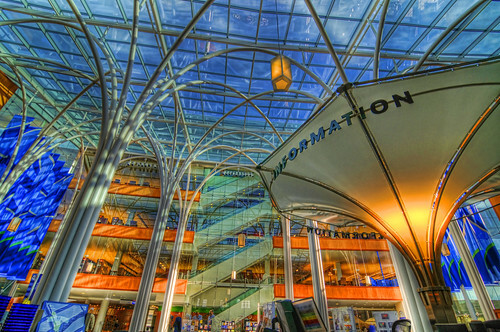 Essentially though, in this new library we find that the literature, magazines, information, technology, learning and teaching activities are designed to support the needs of the networked learning community, creating a partnership between teachers, students, school, home and the global community. Moving to a Networked School Community is essential, and is the only way to ensure that a school is dealing with the information abyss.